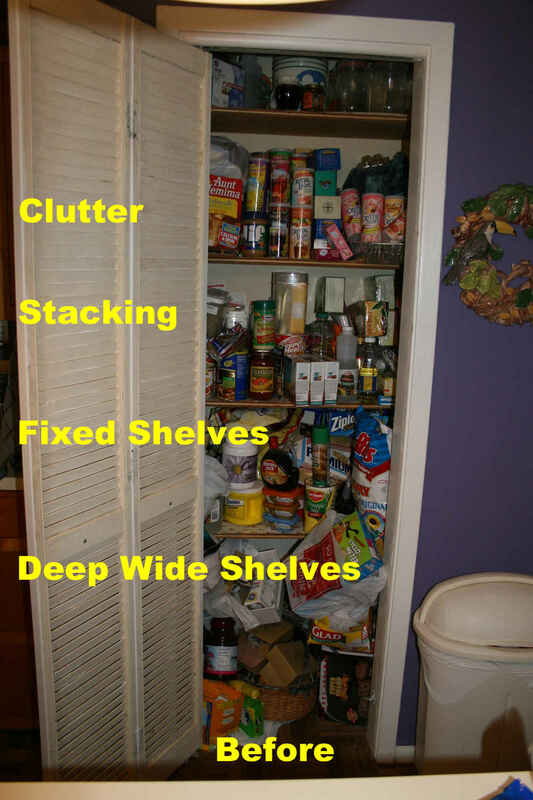 Do you have a cluttered pantry? 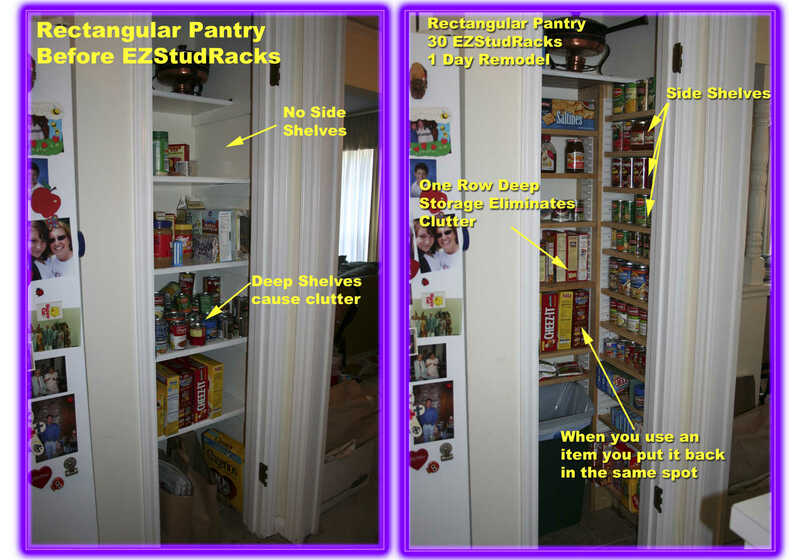 Here is an example of a Rectangular Pantry in a beach cottage. The shelves are DEEP & WIDE and are not adjustable. Take a look at the amazing transformation! Tap Image to Zoom. Here is another before and after picture of a rectangular pantry. 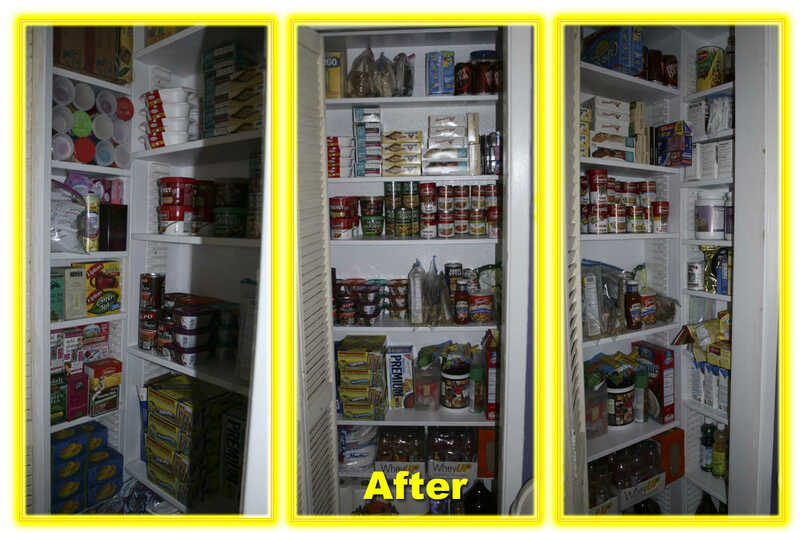 It took one day to remodel this pantry prior to painting! 30 EZStudRacks were used.